Lorena Sutherland, content lead for Office of the Public Guardian on GOV.UK, talks about the Plain English ethos of writing for GOV.UK. You can download the poster for from here. Lorena Sutherland: I'm Lorena Sutherland and I'm the content lead working with the people at the Office of the Public Guardian. 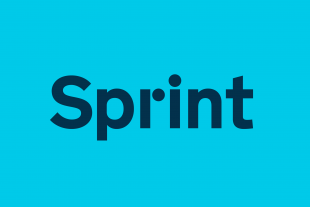 I did a workshop at Sprint Go on Standards and Style in GOV.UK. The big one, and the one I actually bet everyone in the room a million pounds they would hear, is that they'd be told they were dumbing down at some point. It always blows the top of my head off when people say that because I think it's so incredibly rude. It suggests that there's only smart people that we're interested in writing stuff for but actually the point about plain English is that it's a subset of all the English. So as long as you're giving people plain English, you know that anyone who understands all the English can understand it. But the benefit is that by making it plain and making it simple you get more people understanding what you're saying, and this is really important because people don't want to interact with us as a hobby, they have to interact with government or with agencies for some reason or another so we should make it as simple as possible for them and as inclusive as possible - it's democratic. If you look at this use of plain English it's not dumbing down but actually opening up government information to all. Lorena, glad to see it blows the top of someone else's head off as well! There are so many benefits to using plain English, particularly for people who have English as a second language. As we provide our websites in one language generally in the UK, this is an issue. Great blog post, really enjoyed it. I spotted a slight error in the title element of blog posts: the ampersand of html entities is beging escaped. Therefore, the browser tab displays this posts title as “GDS this week: “It’s not dumbing down [etc]”. Older blog posts have the same defect. Hope this helps improve your wonderful work. Hi Carrie. I have emailed you a screenshot marking out the details. Hi Jan. Just to let you know that we have fixed the issue - thanks so much for alerting me to it. Have a great evening. I appreciate what you say, as much as it was said by Mark Morris on this publication last week. But isn't the problem here that there is no where for an apprentice (or any public servant) to go to understand the new, less pretentious art of perambulatory interlocution? There is no social media for those apprentices who "come into the Civil Service, apprentices spread all over the UK, working in different roles in different departments".... "we are bringing the future generation into the business so they’re in touch with the future". Quite wrong. They are introduced to the past of course. There are so few places where a newbie can join an online community and learn about the internal (inter-departmental) communication's culture. So while you're running a workshop, and Mark is making resources, and the GCN is running sold out aspirational courses (https://gcn.civilservice.gov.uk/professional-development-2/upcoming-courses/ ) attendees are still left none the wiser, as it's just theory. They are still left unsupported when they have to write their (first) document. "Follow the departmental guidelines" is the best they can hope for. There comes a time where professional communicators must be able to point to an online space, and say "Join us. "We can't teach you a culture, you're welcome to learn ours as you go". "...... inclusive as possible – it’s democratic". Very nice. Your post is a useful reminder of the power of plain English. I know that I am often guilty of brain dumping and wordsmithing rather than focusing on a few key messages. There are some basic rules which should always be followed (i.e.spell out any acronyms the first time that you use them). Beyond these basic rules, there are simple techniques that can help to make your writing clear, interesting and accessible. I try to write for the audience, organise my writing effectively, use clear language, use active language and check everything that I have written. Too often we forget about writing for the audience (i.e. thinking about what you want to say, who you want to say it to, why they need to know and what you want your readers to do as a result of reading your words). I agree with the sentiment here, but sometimes obviously treating people as dumb is a problem too. HMRC refers to 'tax taken off', which always strikes me as an unnecessarily awkward phrase. Do HMRC think that the average person's vocabulary doesn't stretch to the word 'deducted'? Personally, I like "tax taken off" rather than "deducted". I have always found financial language difficult to follow. Whether an average person (what is one of those?) would have the word in their vocabulary isn't really the point. To me, "deducted" is official and stiff and creates an unnecessary formal distance between sender and recipient. I grit my teeth every time I hear the announcements at my railway station that "this train is formed of five carriages" rather than "this train has five carriages". They are trying to sound official and end up sounding pompous. Is this because it's a transcript or are you purposefully trying to be ironic? The third sentence, second paragraph at 6.5 lines long is completely unintelligible. And what on earth is 'all the English' supposed to mean? Unfortunately yes, Deb. Transcripts have to be like this so they work correctly with the equipment. I was very happy to see the diagram showing how plain English reached more people.